Canadian Salish Sea waters today, by Sidney Island! 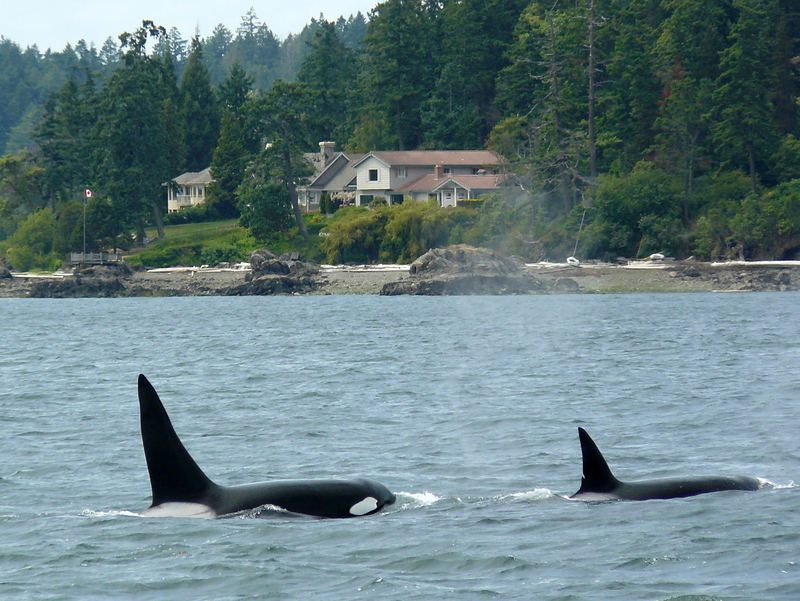 Another group of 4 Transient Killer Whales using the strong flooding tide, heading north, at about 1:45pm. They were swimming slowly in a fairly tight group, taking long dives, and like the ones yesterday, I wonder if they were resting a bit, letting that tide move them along? 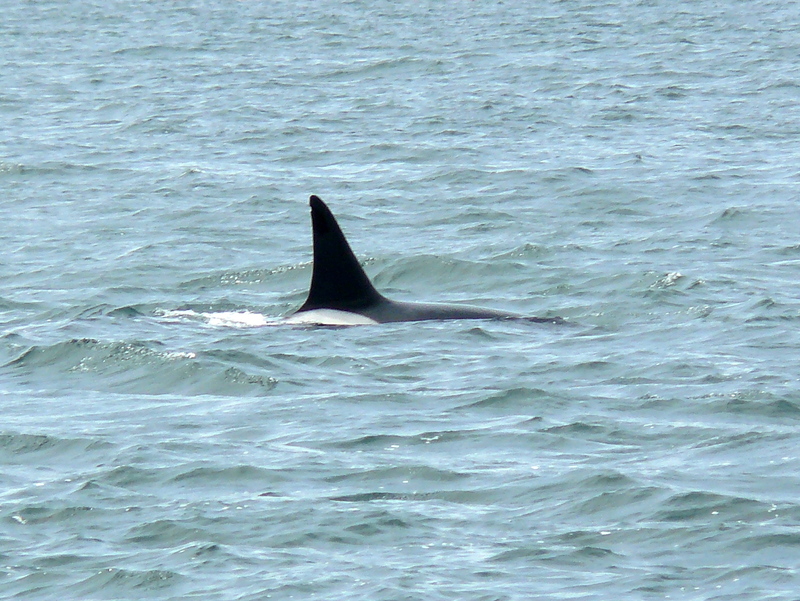 We indentified T-10 with her son T-10A, and youngster T-10C. 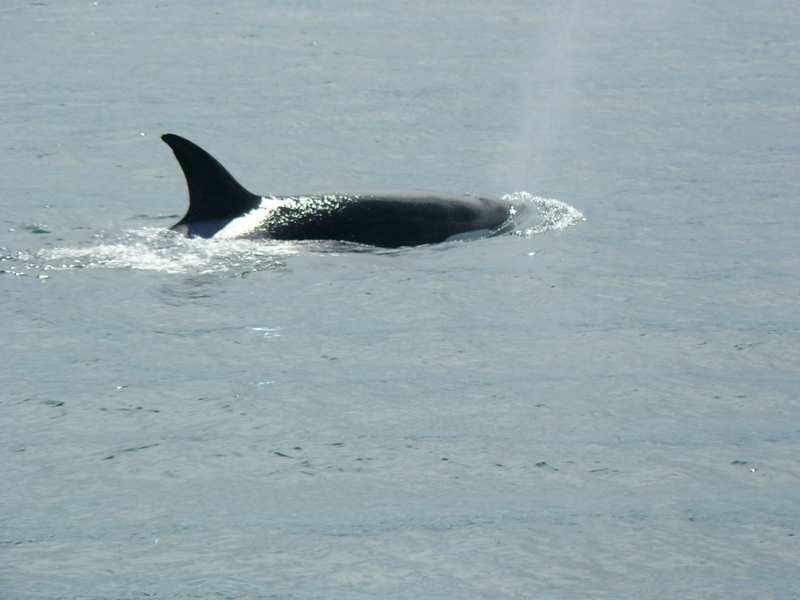 We also identified T-26, but I did not see her 21 year old T-26A, who was sighted the day before with this group. The Center for Whale Research was out there, hopefully got photos to verify the group. As we left at 2:30pm we noticed Harbor Seals and Harbor Porpoise in Spieden and San Juan Channels, while not a one by Sidney or in Haro Strait- they must have got the word about the Transients! A wonderful week of whale, wildlife, marine bird sightings and encounters! 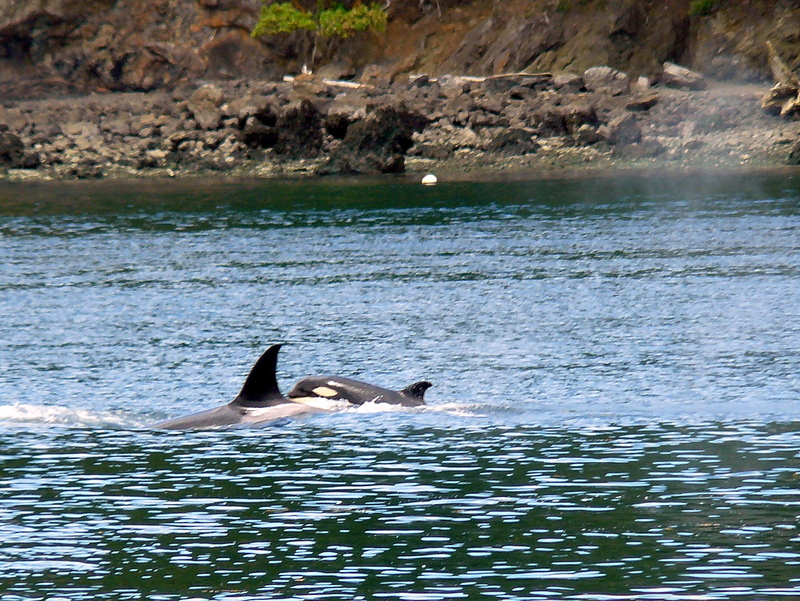 No Resident Orcas today, yet around 1:35pm we come across another group of 4 Transient Killer Whales! A male T-56, with a female, juvenile and calf. He is an orphan, so hard to ID who he was with. They are swimming fairly slowly with that strong flood tide, in a tight group on long dives, north then east around Sucia Island. 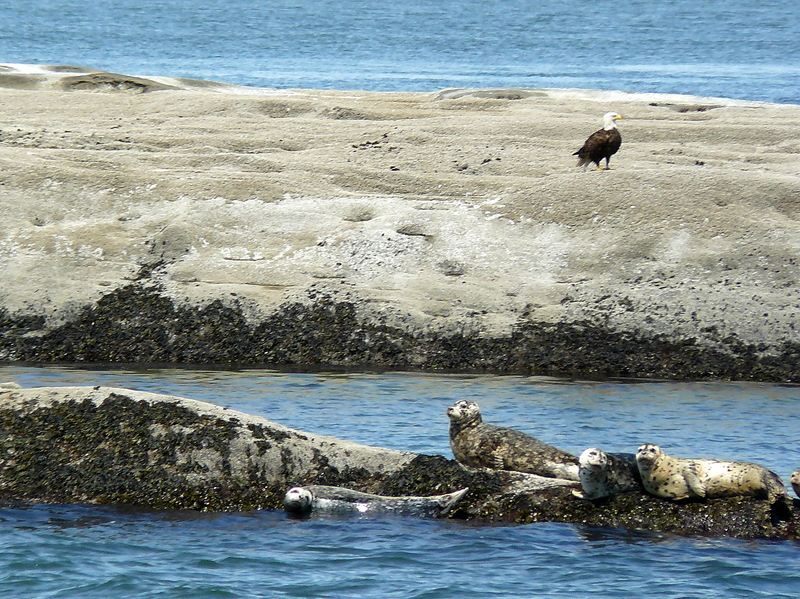 As we left at about 2:45pm, across from Sucia Island and the whales we noticed Harbor Seals on a large rock! They had their heads up, bodies arched, all alert, aware they might be prey. There was also a Bald Eagle sitting there viewing as well! Apparently the Resident Orcas headed west toward the ocean. 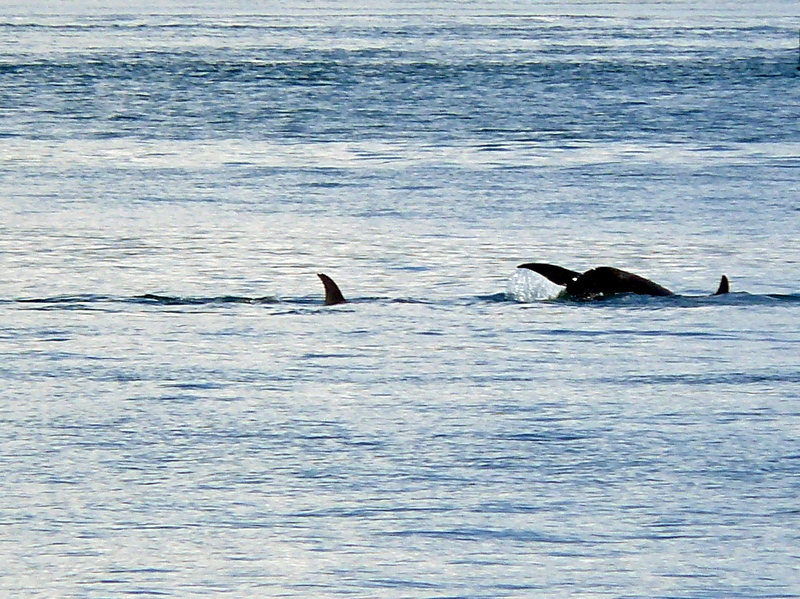 Today we encountered 5 Transient Killer Whales. I have rarely seen both residents and transients in the same area, ignoring each other, but I wonder if they do have a cosmic agreement in sharing the range? 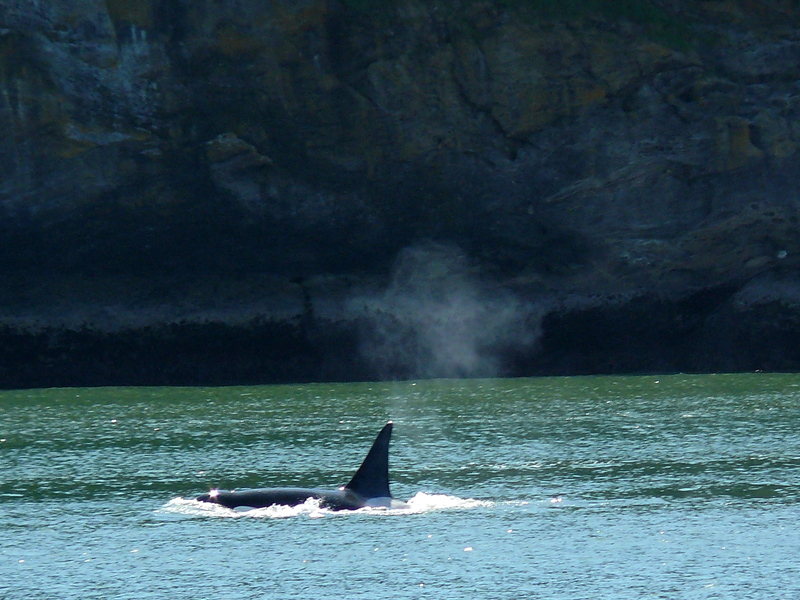 Ironic that so often, when the residents are out of range, then here come the transients! 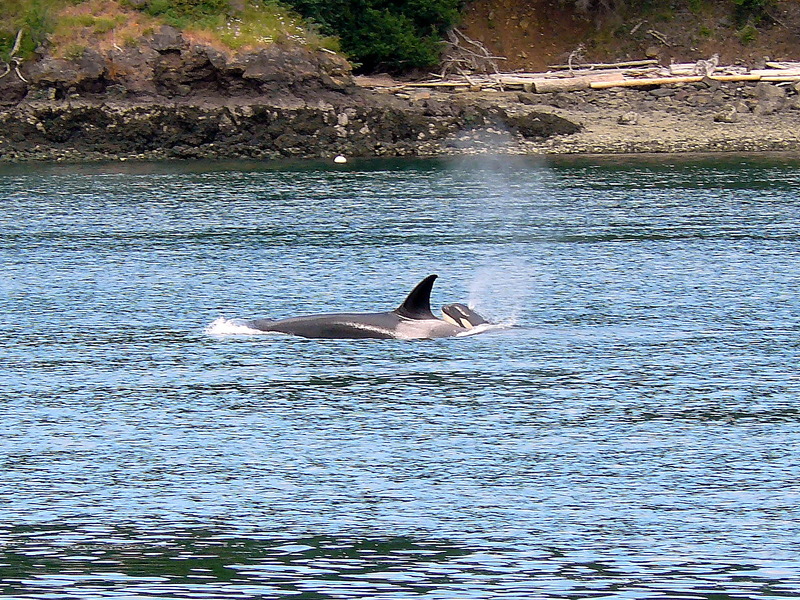 The transients are much less frequent, so harder to identify individuals. T-65A with a calf, juvenile, and 2 others off of Wasp Passage at about 12:30pm. I noticed at least 1, maybe 2, had what appeared to me to be an open saddle patch; dark pigment going into the lighter patch. I wonder if anyone else saw and/or photographed that. I mention this, as a distinction of Transients was a closed saddle patch- no dark pigment, solid light patch on all of them… The whales headed west into San Juan Channel, staying closer to Orcas Island, although erratic surfacings after long dives in the pass, then they seemed to be hunting in the channel with circling, arching dives, and youngster tail flukes in the air! At 3pm they were still in San Juan Channel closer to Spieden Island.